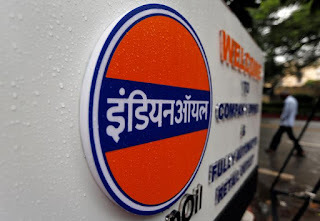 Mumbai (Maharashtra) : The Indian Oil Corporation on Friday successfully rolled out the daily revision of petrol and diesel prices across the country through its network of 26,000-plus petrol pumps. The Indian Oil in a statement said, "The daily revision of petrol and diesel will set new standards of transparency, encourage automation drive of petrol pumps and better stock management practices. It is a win to all situations for consumers, industry as well as dealers." Complimenting the Oil and Gas industry for this initiative, Minister of Petroleum and Natural Gas (Independent Charge) Dharmendra Pradhan tweeted, "Proud to share that India is the first country to switch to dynamic fuel pricing on such a large scale at one go." However, the IOC statement also read that after the complete transformation of the Liquefied Petroleum Gas (LPG) sector, dynamic fuel pricing is the first major reform of recent times in Fuel Retailing Sector. "With this historic step towards transparency and customer interest, the Indian Oil and Gas industry has joined the elite league of countries like USA and Australia wherein fuel prices are revised on a daily basis," the statement added. For this yet another customer centric initiative, Indian Oil has developed various information modes for the customers to check the price being charged by the petrol pumps including the mobile app wherein the customers will be able to fetch daily updated prices of petrol and diesel at all cities through Indian Oil's mobile app Fuel@IOC.